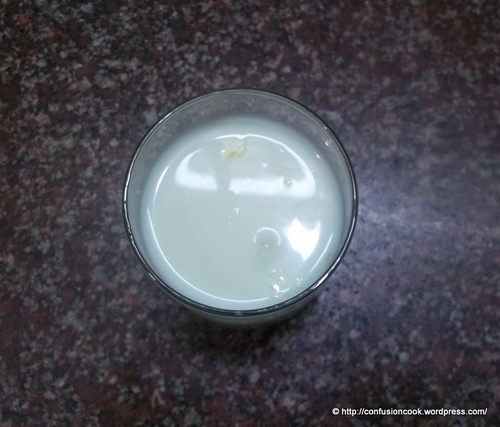 Thandai – Rich Milky Milkyway! 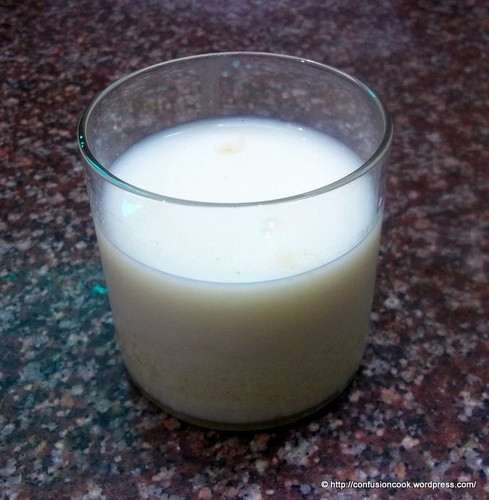 Update – See my latest post – Thandai/ Dry-Fruits Milky Cooler | Re-visiting Food Photos Through the Lens Series – 3 for the same recipe in a different look! This is a part of Revisit Food Photos through the Lens Series. Summers always mean rich dry fruit & sugar syrup – commonly known as thandai in our household. Since making it at home is a very cumbersome process, it is now-a-days bought ready-made in most homes. You must be wondering why dry-fruits in summer. Well it is commonly acknowledged & accepted fact – dry-fruits if soaked overnight & then consumed, loose their heat properties & rather become cooler in nature. Upon this principle thandai has been made and consumed over the years. The reason I ventured into making thandai at home was due to my mother-in-law’s illness last year. She was not allowed to consume outside food and needed the extra sugar, energy and coolness which will come with thandai, for her speedy recovery. So I sailed in uncharted waters. Last year was a success which kind of pushed me ;) into make it again this year :). After aam ka panna this is again from my mother’s recipe box. Soak all ingredients separately overnight in Kevra water, except sugar. Now using a mortar & pestle, grind all ingredients into a fine paste. Grind little of all ingredients together rather than one ingredient at a time. This ensures a finer paste. In a wok, add water & sugar. Boil till all sugar melts. Add the paste slowly into it. Ensure no lumps are formed. Mix well. Turn off gas once the sugar melts & just before reaches the stage of 1 thread syrup. Serve in chilled milk. No need to add extra sugar in milk. Enjoy! If kept refrigerated it will last for 7-10 days easily. This is one drink, which makes me forget the extra calories of sugar, dry fruits in it. This is a rich drink and really really leaves one feeling cool after a sip. Do try this.